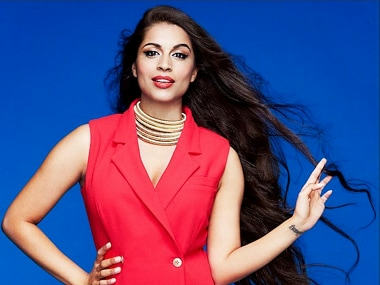 Canadian YouTube sensation Lilly Singh, also known as 'Superwoman', has joined the cast of the cinematic adaptation of American writer Ray Bradbury's dystopian novel Fahrenheit 451, according to Variety.com. This will be Singh's first big acting break, as she has previously been seen making special appearances in films like Bad Moms and Dr. Cabbie. She has also lent her voice to miniature unicorn characters in Ice Age: Collision Course. The novel is set in a dystopian society, where books are banned. There are firemen who burn any books that are found and this burning act gives the book its name — Fahrenheit 451, which is the temperature at which paper catches fire. The act symbolises literature losing readership to mass media and the suppression of dissent prevalent in contemporary society. Singh will be playing a character that is close to what she does in real life. She will be playing Raven, a vlogger who joins the authority in its propagandist mission by broadcasting the book burning on her channel. Singh will share screen space with Sofia Boutella, who was recently seen in The Mummy, Michael B. Jordan and Michael Shannon. With such a diverse cast, this could prove to be a major breakthrough in acting for the YouTube star, who already has millions of fans all across the globe. The film is being directed by Ramin Bahrani, as per Variety.